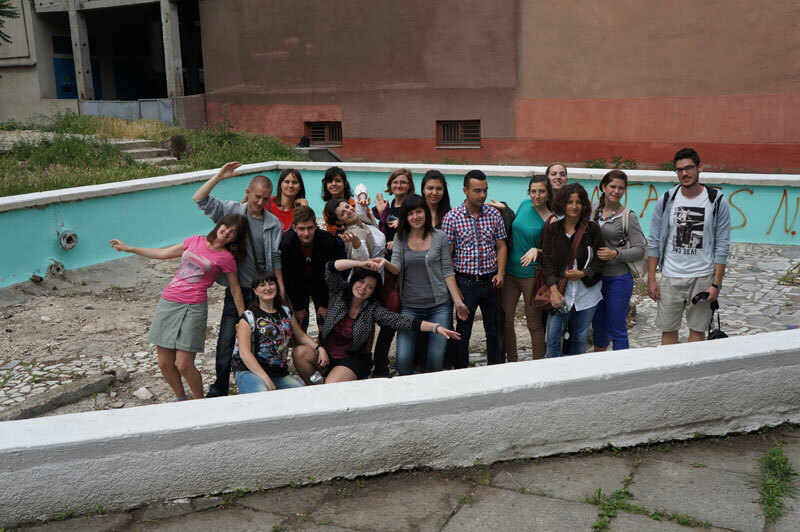 On the 5th of June 2013 a group of young people, participants in the youth exchange “Mind your heritage“, have visited us to get to know what we are doing and learn more about old buildings in Chisinau. We presented them the Flat Space and also showed them the pool next to the Chekhov Theater that we cleaned last summer in order to organize a screening with the title “Demolition“. The group was really interested and had a lot of question and the also tried to understand the situation in Chisinau better.